We have emerged has renowned organization by manufacturing wide range of Bio Products such as Neem Cake Powder and Guar Gum. Prepared using quality ingredients, our range of guar gum find usage in cosmetics, pharmaceutical, textile, paper, food industries. The neem cake offered by us is widely used in fertilizer, soil conditioner and also preferred for formulating pesticides and insecticides. 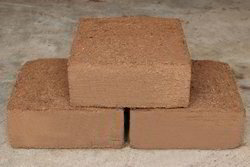 Coco peat is a multi-purpose soil conditioner and growing medium. It is consistent and uniform in texture. It is a completely homogeneous material composed of millions of capillary micro-sponge, that absorb and hold up to eight times it's own weight in water. The natural pH of 5.7 to 6.5, plus an unusually high Caption Exchange Capacity - and 27% of Easily Available Water assures that coir will hold and release nutrients in solution over extended periods without rewatering. Less problem with the attack of pests and diseases for cocopeat in farming activities compare those farmers with traditional bare soil. There was less nematode attack, soil borne diseases and damage of crop due to salinity when cocopeat are use ad planting media. We export Guar Gum, which is generally the ground endosperm of guar bean. To obtain guar gum, the guar seed is dehusked, milled and screened. Widely known as guarana, our range is produced as a free-flowing, pale, off-white colored, coarse to fine ground powder. It is extensively used in textile, paper, explosives, pharmaceutical, cosmetics, toiletries and food industries. 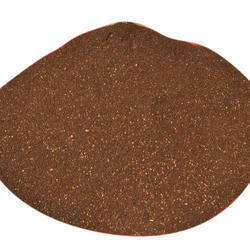 We supply Neem Cake Powder, which is extensively used in organic farming and agriculture. It is rich in nitrogen, phosphorus, sulphur, calcium and is widely required for the growth of high yield of crops. The neem cake powder increases the nutrient content and fertility when mixed with soil. 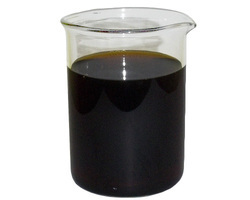 Humic Acid is an organic water-soluble humic substance, derived from lignite. It is a good plant growth stimulant acting on soil and plants. It improves soil physical property, ion exchange capacity, water holding capacity, drought tolerance ability; protect plants from physical/soil stress and increase soil microorganisms, Biological activity. This also prevents loss of nutrients from soil and act as a storehouse by keeping plant nutrients in soil. It increases crop growth and yield, soil fertility status and reduces use of chemical fertilizers. To ornamental plants, grass lawns, cereals, pulses, oil seeds, vegetables & commercial crops, trees, orchard, green house, nurseries-sprayed in soil before planting and Foliar spray in two/three stages on plants before flowering for best results. Soil Application: May be applied 35 ml/M2 area before planting/sowing/during irrigation. For aged grown up trees, the dosage can be increased to about @ 200 ml per tree. Foliar Spray: Dilute 1 Litre in 30 Litres of water, then spray to all crops before flowering, ornamental plants and grass lawn; once in 30 days in morning or evening for better results and may be combined with fertilizer spray also. Caution: It is an Organic substance of slightly Alkaline in nature. So avoid contact with eyes/mouth. If spilled on skin, wash with plenty of fresh water for remedy. Looking for Bio Products ?